With the new year in full swing and all our Movers trying out new, cool activities on MoveGB to discover what’s #WorthSweatingFor this year, we’re introducing you to some awesome fitness classes that you should try out! Ever considered a workout in the air? Welcome to the beginners guide to Aerial Silks! 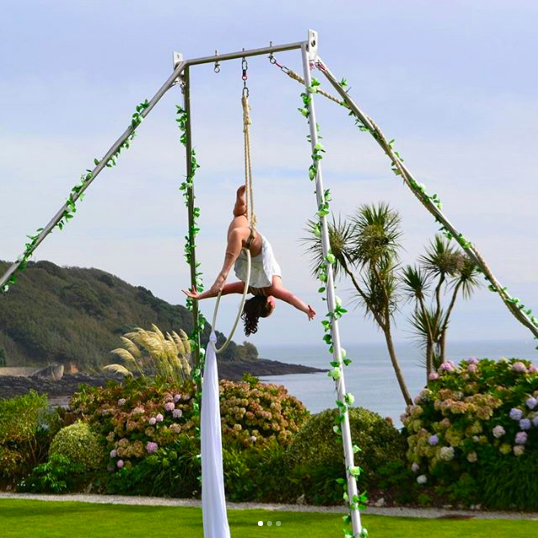 Have you ever considered Aerial Silks? Have you ever fancied yourself as a flexible acrobat; bending, swinging and tumbling from great heights? Time to delve into why you should try Aerial Silks and how it can give you an ace full-body workout. From incredible strengthening to increased flexibility, we’re taking a look at Aerial Silks with Lisa Truscott from Bristol Aerial. An award winning aerialist and roller skater (total goals! ), Lisa has been in the world of circus since 2000. 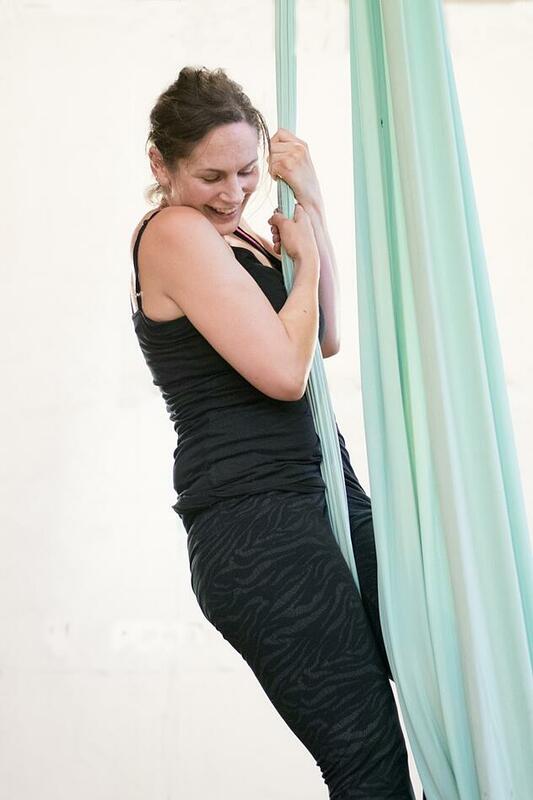 From silks to hoops, static trapeze and hula hoop, Lisa is a pro at all things circus and you can try out one of her classes on MoveGB in Bristol. You don’t need to runaway to join the circus anymore - you can now try a class out after work or on the weekend. Aerial Silks uses two lengths of fabric, secured from the ceiling, and involves defying gravity and using your strength to climb and manoeuvre the silks. Under careful instruction, you’ll learn how to wrap the silks around your body to reach cool poses that will really improve your flexibility. And as you improve with experience, you could be tumbling down the length of the silks and performing jaw-dropping spins. I want to get into Aerial fitness - why should I start with silks? Aerial Silks is a brilliant physical challenge. If you’re keen to try out Aerial exercises, silks are softer than other equipment (such as hoops) and make a great introduction to suspended adventures. You get so much freedom in the air with silks, with a plethora of positions and movements you can do, and you will feel the improvements in your body after each session. What benefits will Aerial Silks bring to my body? It’s a full-body workout - most notice their shoulders and upper body changing most from doing silks as you really need to work those muscles to ascend and control your movements. Even just climbing up the silks will engage many important muscles! You’ll also be igniting your core and you’ll see flexibility improve as you stretch yourself on the silks. Sure, you’re going to ache at first but as your body adjusts to the new movements that a gym session won’t provide, you’ll begin to see what your body is capable of up in the air. Tight fitting clothing is best as you will be going upside down and be wrapped tightly in the silks. Avoid baggy clothes (unless you want to flash the class) and avoid zippers - no one wants to snag on the silks at the wrong moment! Be sure that key areas are covered to avoid potential friction burns or scrapes i.e. armpits, lower back, stomach and knees. These can’t completely be avoided, but can be helped by wearing full-length leggings and fitted tops that can be tucked in. I’m pretty good at yoga/pole dancing - can I go straight to an intermediate class? That’s great that you’ve got flexibility and strength, but you should always start at a beginners level when you’re new to Aerial Silks. You’ll learn foundation skills, such as correct grip, and be familiarised with this new equipment. You will also be kept close to the ground as you learn the basics to ensure your safety. What can I expect at a beginners Aerial Silks class? The class always starts with a warm-up - don’t arrive late as if you don’t warm up correctly, you risk injury. There’ll be a bit of running and cardio to get the heart rate up, followed by some gentle moving stretches. You'll generally then move onto the equipment and start with some warm-up climbs/suspending and a bit of body conditioning. Once everyone is comfortable on the silks, time to learn new moves or revisit moves students may have already tried at a previous session. Some moves you can learn and master in one class, others you need to revisit a few times to nail. Leave your ego at the door - you may fail and fall, you may get tangled. You’re not going to be swooshing and diving like a swan after your first session, but it’s an incredibly supportive atmosphere where you can always learn from each other. Never be embarrassed! Stick with it and you’ll soon surprise yourself! What other workouts should I do to improve my Aerial Silks performance? Yoga and Pilates are definitely beneficial. They can assist you in stretching and strengthening the right parts of the body and prepare you for the challenges that silks bring. Rock climbing and bouldering can help strengthen your forearms, and of course, cardio is always a good idea. Aerial Silks contains high-intensity movements so anything you can do to strengthen your body is great! What are some basic Aerial Silks moves that I’ll be trying? Every teacher will introduce basic moves that will help you achieve more complex or intermediate moves in the future. They may have different names and variations, but you can expect things such as footlocks, french climbs, figureheads and candy canes. See some beginner Aerial Silks moves below! Ready to give Aerial Silks a go and see if it’s #WorthSweatingFor? Defy gravity, strengthen your body and having FUN is what you can expect, so what are you waiting for? Take a look at what Lisa Truscott can do below and head over to her instagram to see some of her performances and classes! Be sure to check out her Bristol Aerial Silks classes on MoveGB!